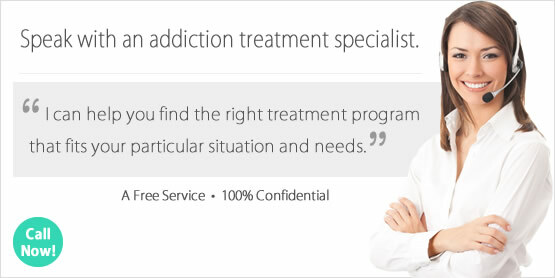 Looking for a Drug Rehab or Alcohol Treatment Program in Michigan? Addiction isn't something that individuals have to live with for the rest of their lives, trying to constantly manage a losing battle. There are many drug rehab programs in Michigan which can help individuals resolve their addiction for good, so that they don't have to carry around a label and be burdened by this problem or its consequences ever again. So if you have a drug or alcohol problem or know someone who does, the sooner you contact a drug treatment counselor in Michigan to sooner you can begin improving your quality of life. There are drug rehab programs in the state to accommodate any type and level of addiction, and no Michigan resident that should have to struggle with answer right at their fingertips. So contact a drug treatment counselor in the state today to find out how to get lifesaving help in a drug rehab program today. In a single-day count in 2013, 47,749 individuals in Michigan were enrolled in some type of substance use treatment, which was an increase from 40,044 individuals in 2009. Among individuals in Michigan were enrolled in treatment that year, 30.7% were in treatment for drug use only, 22.9% were in treatment for alcohol use only, and 46.4% were in treatment for both drug and alcohol use. The most pronounced drug problem in the state in opiate dependence, where 24% or treatment admissions are in treatment for heroin addiction and over 13% for "other opiate" addiction (prescription pain killers), comprising 37% of total admissions and far surpassing any other drug problem in the state. Alcohol abuse and dependence, including alcohol problems which are part of a poly-drug abuse problem, is also a serious issue in the state not far behind the opiate issue. As discussed, alcohol abuse and poly-drug use involving alcohol is one of the biggest drug problems in Michigan. For this reason, the most comprehensive and integrated approach is also needed in these instances where clients typically have a co-occurring disorder and may need intensive long-term treatment which outpatient programs simply cannot provide. Because AA and other 12-step model programs may have failed clients in the past, it doesn't make sense to continue down roads which haven't proven successful. AA has about a 10% success rate, and there are much more comprehensive programs in Michigan with success rates that can give individuals hope for not only finding temporary but permanent resolution to their alcohol and/or poly-drug abuse problem. A good place to start would be an inpatient or residential facility in the state which can provide essential detox services for these clients and a thorough and tailored treatment plan. There are nearly 500 drug rehab programs in the state of Michigan, with outpatient drug treatment programs comprising early 90% of the treatment available in the state. Nearly 7,800 of the 30,000 outpatient treatment clients in Michigan are taking part in daily opiate maintenance services, which should come as no surprise due to the serious problem that residence face with opiate dependence. These outpatient facilities provide opiate maintenance services, and administer prescription drugs such as methadone and buprenorphine to clients who are opiate dependent but don't typically provide any other type of treatment service. This isn't the only solution available however and definitely not the most proactive seeing as clients are on these drugs indefinitely. There are people who have stopped a heroin or pain pill addiction without the use of these drugs, although it will take considerable effort and time in a long term inpatient or residential facility in the state which provides an integrated and comprehensive treatment programs for opiate dependent clients. There are 76 such programs available in Michigan. What does Inpatient Rehab in Michigan Involve? There are 16 hospital inpatient and 88 residential non-hospital drug rehab programs in Michigan, with both short term and long term treatment options available. These programs can prove essential in helping clients find a solution to a chronic drug or alcohol problem they haven't been able to resolve with other types of treatment. Why? Because clients benefit from the positive environment, which is free of drug triggers and free or drugs and alcohol, where they can have access to treatment techniques and approach which aren't available in outpatient treatment and where they can have the most robust support system available. The longer someone remains in such a structured and beneficial treatment environment, the more likely they are to remain clean. Most of the inpatient treatment in Michigan will include mental health assessments, and when a dual diagnosis has been made additional steps can be taken to ensure their mental health needs addressed as part of an already comprehensive treatment plan. What does Outpatient Rehab in Michigan Involve? There are also 436 outpatient drug rehabs in Michigan, 177 of which provide intensive outpatient treatment which is one of the more intensive treatment options available in an outpatient format. These facilities offer treatment for several days per week and provide traditional therapy and counseling and some are able to offer dual diagnosis treatment for individuals with a co-occurring mental health disorder. Day treatment/partial hospitalization drug rehab in Michigan takes place in 40 facilities which provide an environment that is more conducive to a successful treatment process for clients with more extensive addiction issues and those with a dual diagnosis.